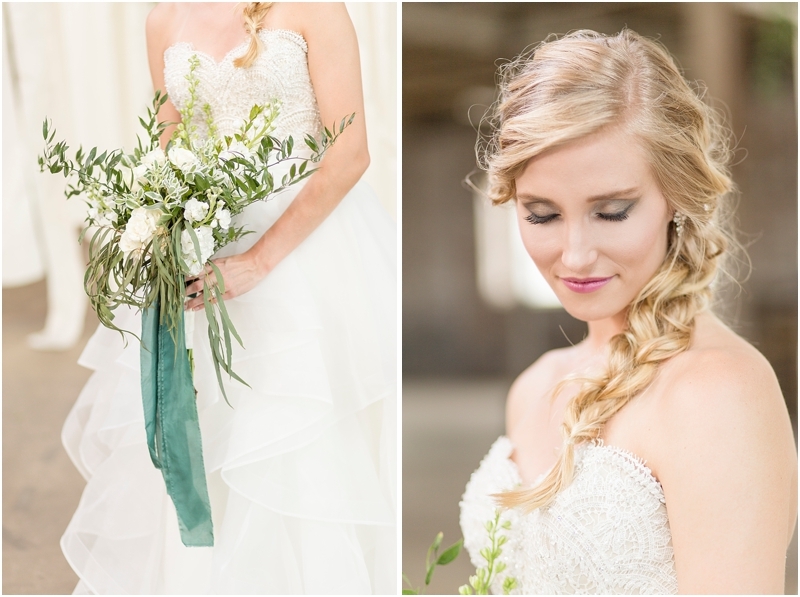 I had the honor to work with a TON of fabulous vendors, host the grand reveal, and coordinate an amazing styled shoot (turned party) with some extraordinary women! On April 28th Bri, Ashlyn, Angie and I hosted a party for the newest event venue in Jacksonville, FL, The Glass Factory. 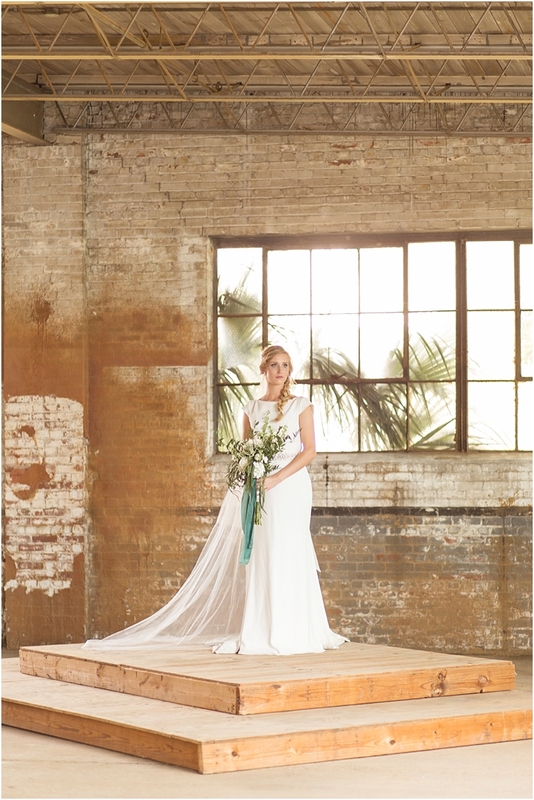 The mix of the industrial atmosphere, with the cascading floral and fabric mixture, made the perfect backdrop for a styled wedding shoot. 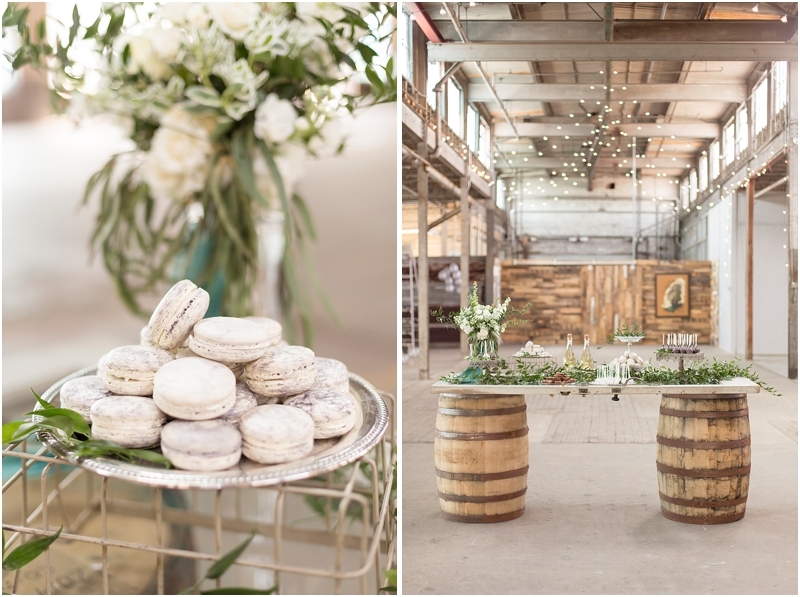 Wedding vendors were invited into the styled space, to see it in all of it's glory! 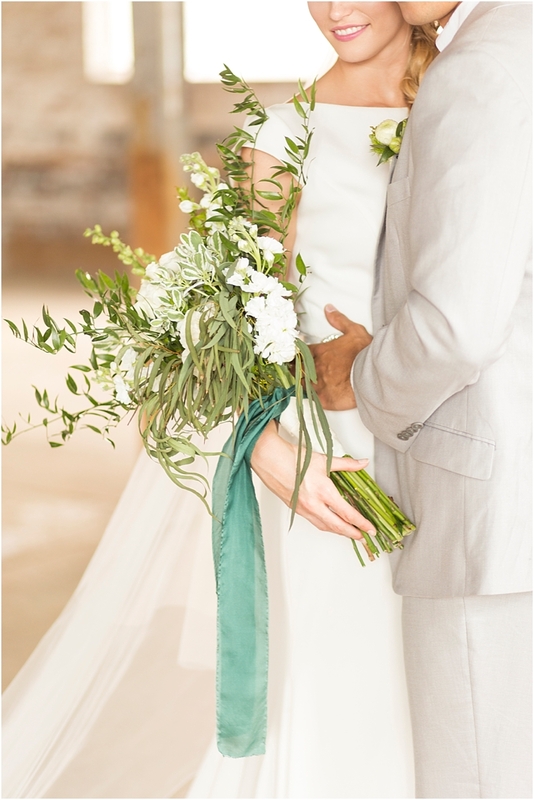 Each place setting was adorned with emerald green details and marble accent pieces. Tanya of Southern Charm Events supplied the most gorgeous farm house tables and chairs, arranged in a banquet style. Lynette of Rose of Sharon European Florist, created an AH-MAY-ZING floral and fabric ceremony backdrop, floral chandeliers, and a greenery table runner to adorn the dinner setup. After the viewing of the space commenced, we all enjoyed a delicious dinner supplied by 4 Rivers, and Generation Y Entertainment started the party and kept it going! Alleycakes Desert Company supplied an amazing array of finger-desserts, and they were as tasty as they were beautiful. 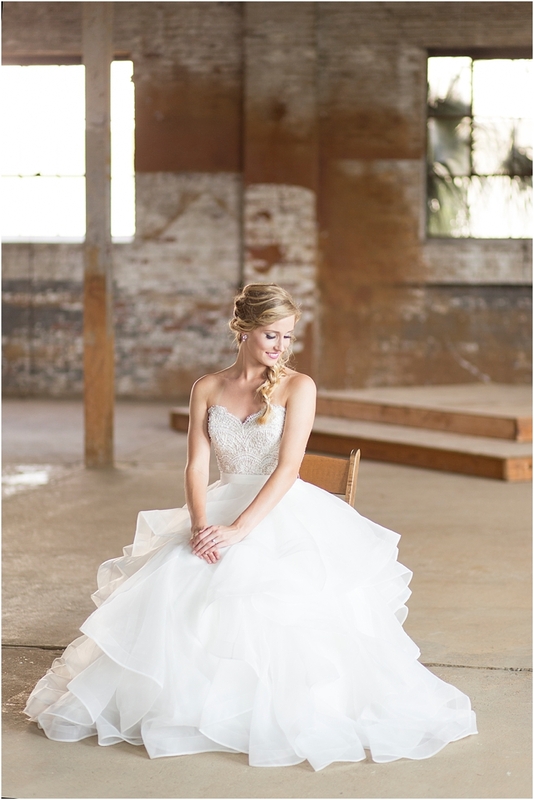 As always, The White Magnolia supplied insanely, gorgeous gowns for the bride to wear! I cannot even begin to thank Bri of Bri Cibene Photography enough for the collaborative effort in creating the concept for this event. Also, our crazy ideas would never have come to fruition without the help of Ashlyn of Loba Design Company, and Angie of Feathers and Foil. I am so blessed to have these women in my life! And to Kara of Engine 15, the owners of the Glass Factory, for allowing us to have creative freedom in your space! I cannot wait to see the weddings and marriages that begin in your new space! Please show all of these vendors some love!